Historically, fountains have largely been a symbol of wealth, power, grace and artistry. In retrospect, arguably the most iconic fountain of the past, the Latona Fountain in Versailles, adorned the majestic royal palace. While fountains are much more accessible now, their role and significance has not diminished. Thankfully, with the advent of mass production and advanced manufacturing methods, royalty is no longer necessary to own fountain. Fountains, whether new or old, all have a special magic to them. It could be the masterful fountain design, ranging from noble figures dramatically recreating the Metamorphoses, or a clean cut rectangle with ideal proportions – fountains capture a moment, and do it while moving. They are not works of art you see everyday, and are able to attract people from all walks to life. Fountain design, then is important to enriching the community with unique designs that bring excitement and wonder to every spectator and encourage community. Like most fine art which has value because of the impression it leave on the viewer, the uniqueness of fountains enhances its value. Not only do fountains have a context of affluence, they also provide peace and wonderment. A well maintained fountain, whether indoor or out can increase the value of a property because of the art it creates. Fountains also create value and environment by being environmentally friendly. Fountains create a sort of ‘white noise’ that is not distracting, but like the crashing of waves, fills the surrounding area with relaxing sounds. Not only do fountains create sounds, they also create a beautiful visual display – especially if paired with lights. The beauty of fountains is that they are useful both during the day and the night, while spouting water or being completely dry. Finally, fountains are environmentally responsible. They are not controversial like parks which might require the cutting down of trees, or the paving over of some local plains. Fountains actually help aerate ponds and promote life. 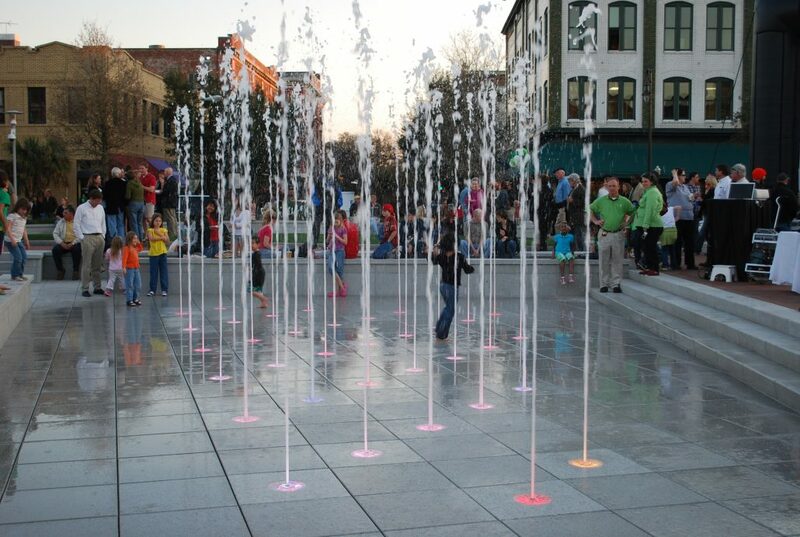 Fountains are a beautiful and multifaceted method for enriching your community and business. We install custom designed, cutting edge fountains for you to enjoy. We have an experienced staff that will help keep everything safe, and exceeding government standards. We have 10 years of experience and we’ve worked all throughout the United States. Contact us today! “By George! 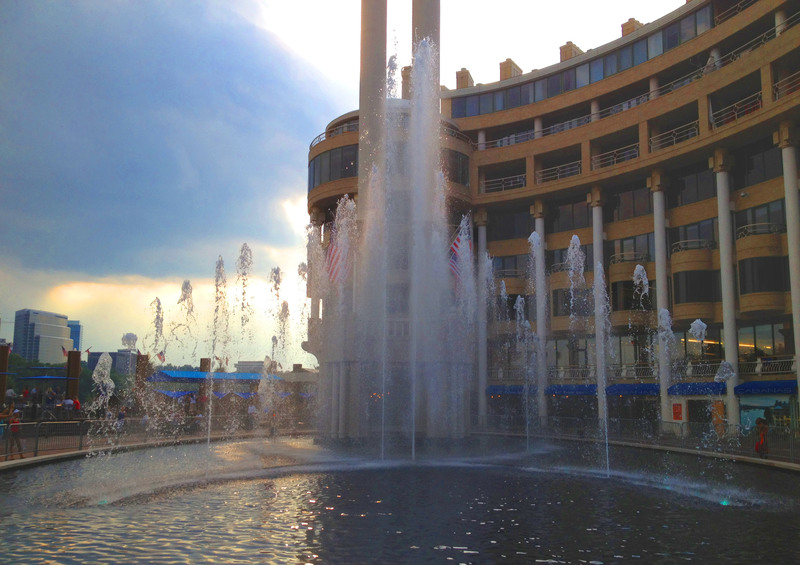 That’s an Entertaining Fountain…” Washington Harbour... Park Van Ness Fountain Project in Washington D.C.